Savvy Aunties can talk about everything from the importance of representation to the power of integrity and teamwork. Black Panther is a masterful superhero drama unlike any other. Not only is it the first film in the Marvel cinematic universe to center on a superhero of color, but it has deep characters, a strong storyline, and outstanding acting. All that, plus strong, smart female characters and clear themes of integrity, courage, and teamwork, mean there's plenty for aunts and our nieces and nephews to talk about after watching this Common Sense Seal-honored film. - Talk about the role models in Black Panther. Who are they, and what character strengths do they exhibit? How does T'Challa demonstrate courage, integrity, and even teamwork? - Why is it important for superheroes to be diverse? How is Black Panther an example of both racial and gender diversity compared to other superhero films? - How does the movie explore issues related to race? Why is Erik's perspective on the world so different from T'Challa's? Is one right and the other wrong? Why, or why not? Why does representation matter in movies and books and on TV? - How are the Dora Milaje (T'Challa's all-female combat fighting force) unique in the Marvel Universe? What did you think of the way the movie portrays women in usually "male" roles -- i.e. tech expert, warrior general, spy, etc.? What message does that convey to viewers? - What is the movie's message about global responsibility? 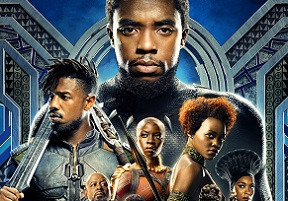 Do you agree with the view that the Black Panther should keep Wakanda safe at all costs or with the idea that Wakanda should help less-stable, less-advanced nations and communities by sharing their resources? Home Expertise 5 Discussion Ideas for Nieces and Nephews after Seeing "Black Panther"